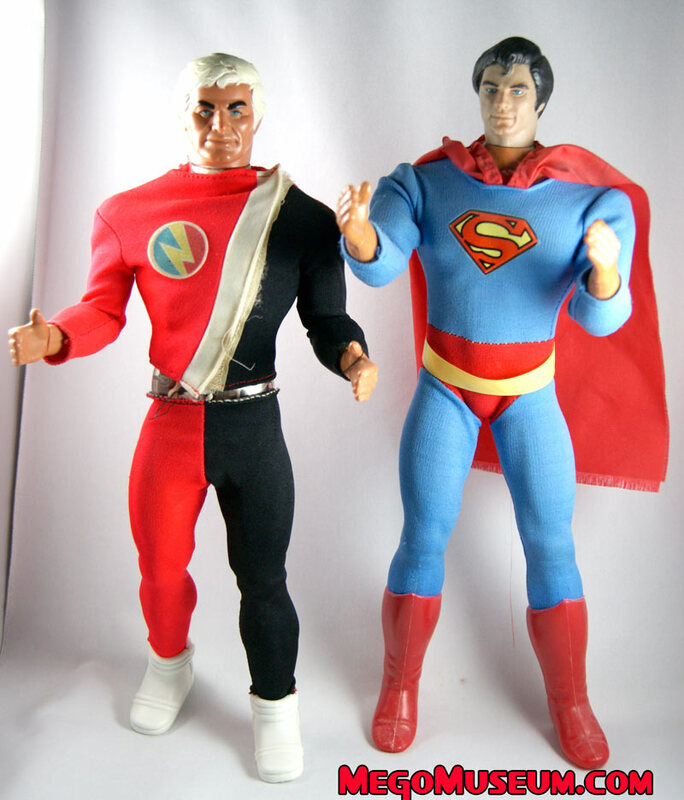 On the left is the Comic version of the 12 inch Superman, much different from the version done as a tie in to the movie. 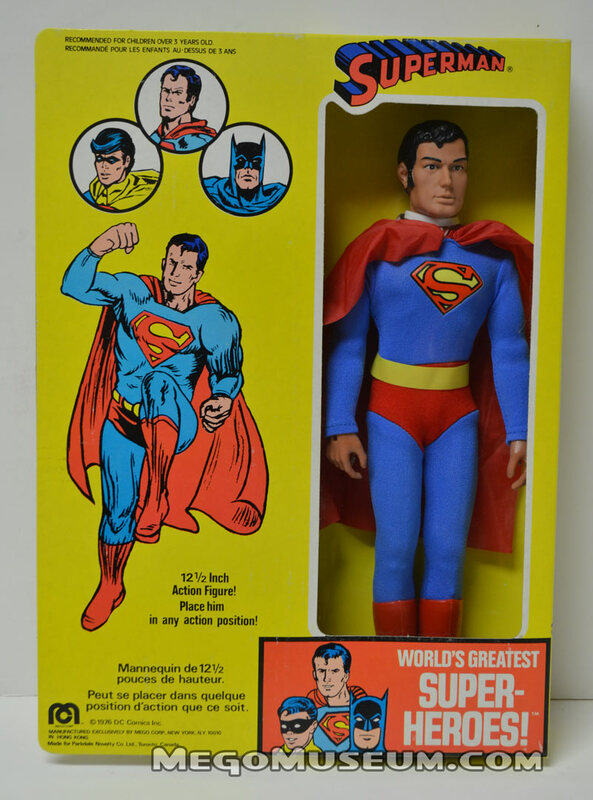 This figure was created specifically for the Canadian distributor Parkdale Novelty and was also sold in the UK, France and Italy. 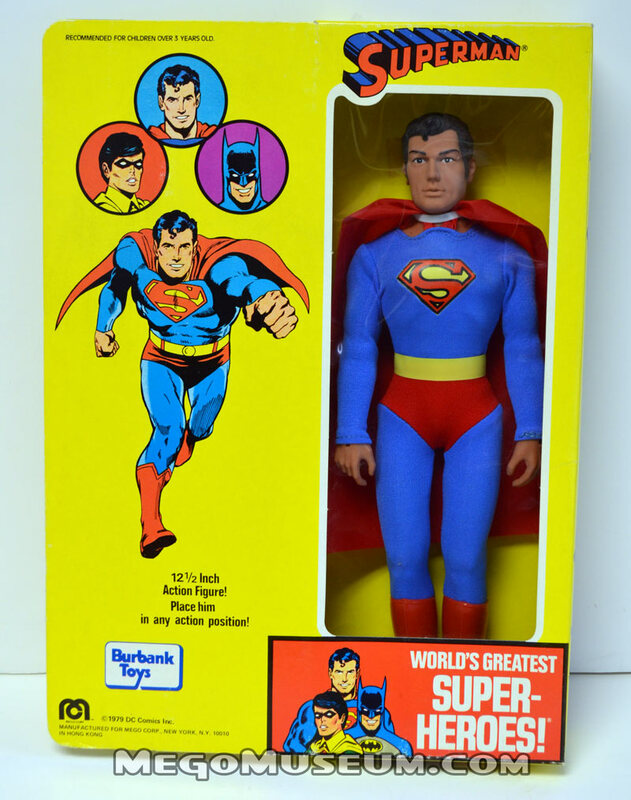 In the early 2000’s there was tiny find of Harbert boxed Superman figures but otherwise, he is a pricey and much harder to find figure than Spider-Man or Batman. 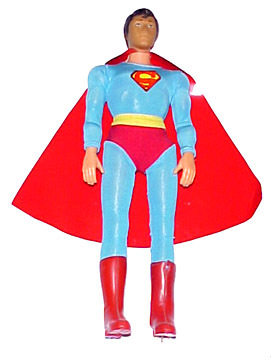 Thanks to Lorne Kotzer (whose Dad started Parkdale Novelty) we have the original hand painted prototype of 12 inch Superman. Isn’t he dreamy? You can read our interview with Lorne here. 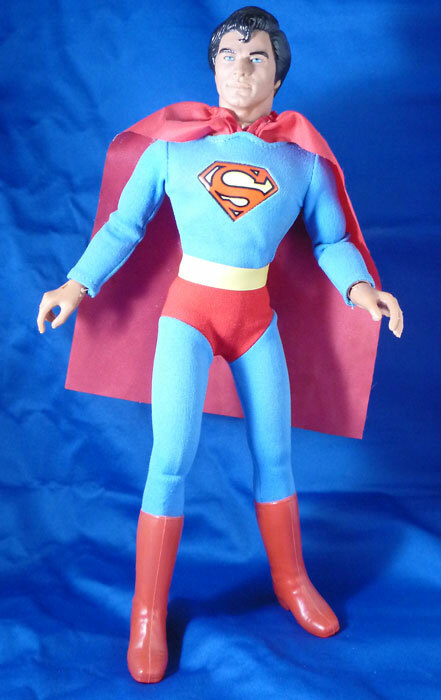 Full figure shot of the Superman prototype. Removable boots, plastic embedded insignia (not a sticker) and each has one hand that points! 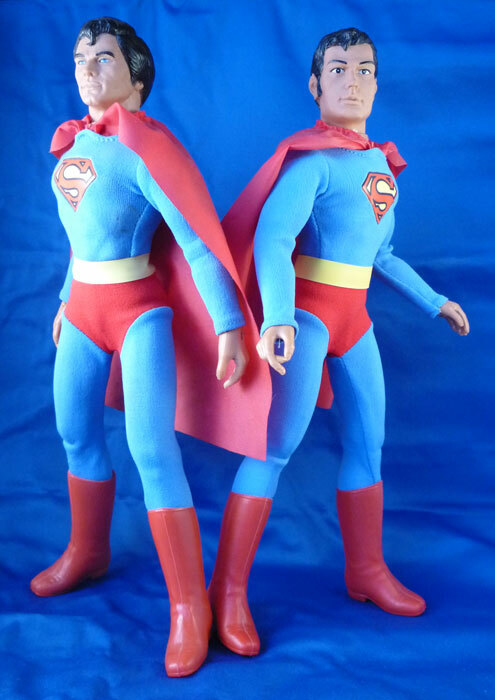 The Superman on the right is the one Mego released in 1979 to corresspond with the movie his head sculpt is fuller and the body Mego used in the US was bulkier, which was common of nearly all of the 12″ releases in the US. 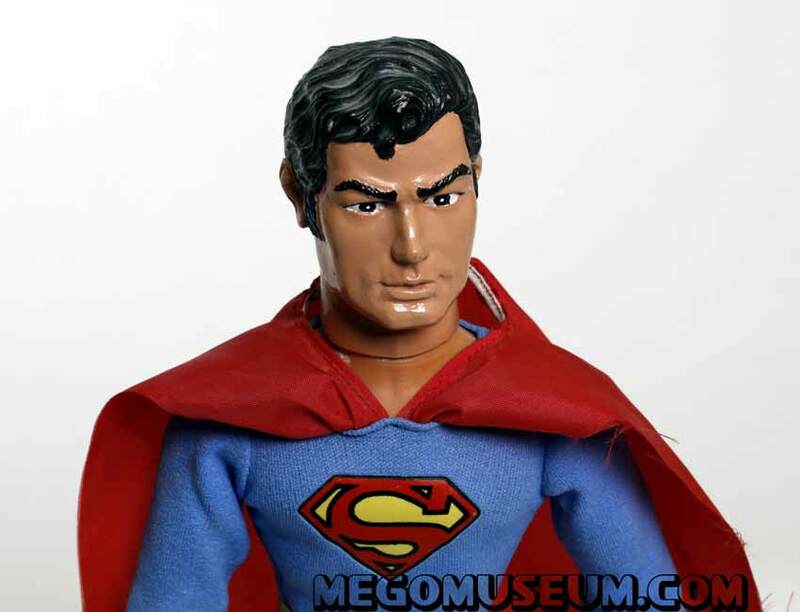 Movie or Christopher Reeve 12″ Superman was released in the United States and the rest of the World, it features a head sculpt by Ken Sheller and features a more muscular Torso which is one of the more noticeable features between the US and foreign released 12″ figures. 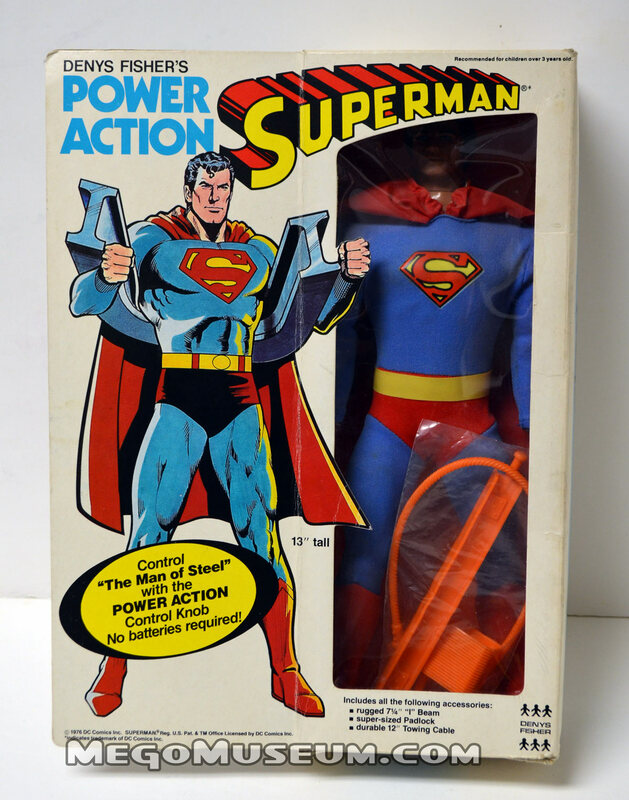 Above is the 1977 Boxed Parkdale Novelty Superman figure, seeing as this figure was created for Parkdale, it is the very first time it was issued. 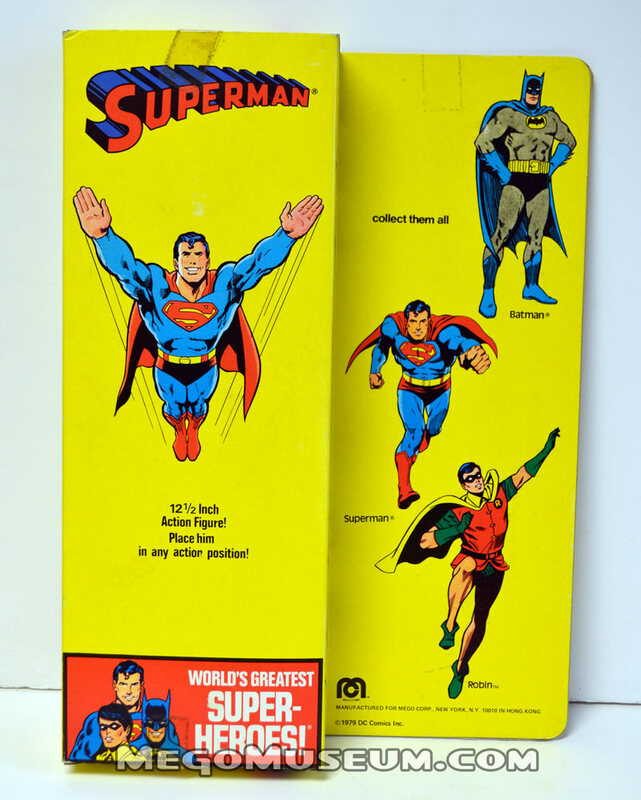 Superman’s run in Canada was limited, Parkdale famously ordered less Superman than their Heavy Hitters at the time, Batman and Spider-Man, which makes he and Robin quite scarce. This Photo is courtesy of Heroes West Coast. 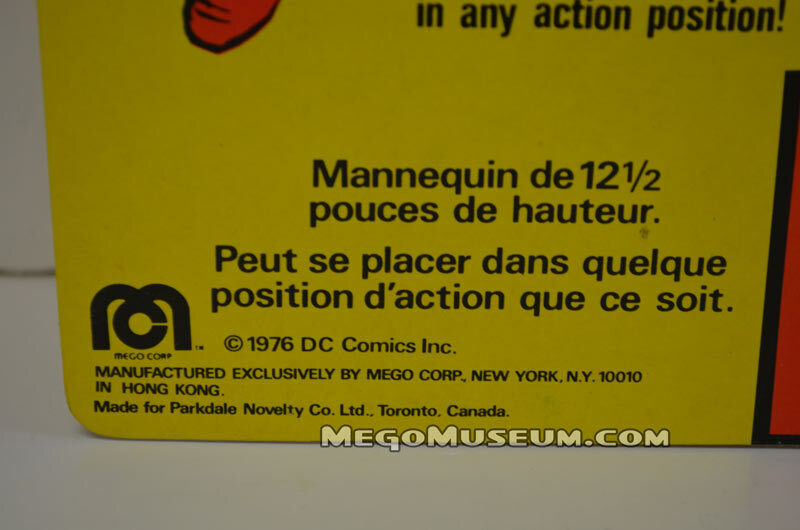 The little Details for Parkdale Novelty Superman, the copyright date reads 1976, meaning the product saw retail sometime around 1977. 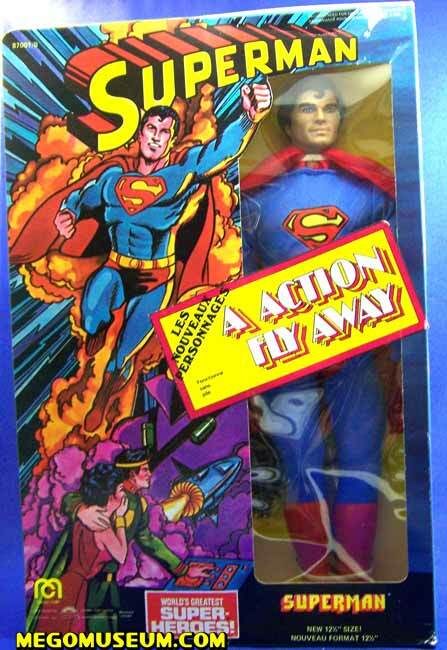 Actually I can totally confirm when these landed, Robin from this series was my 7th birthday present. The artwork on the back of the original run of 12 Inch Superheroes is how we say, crude. 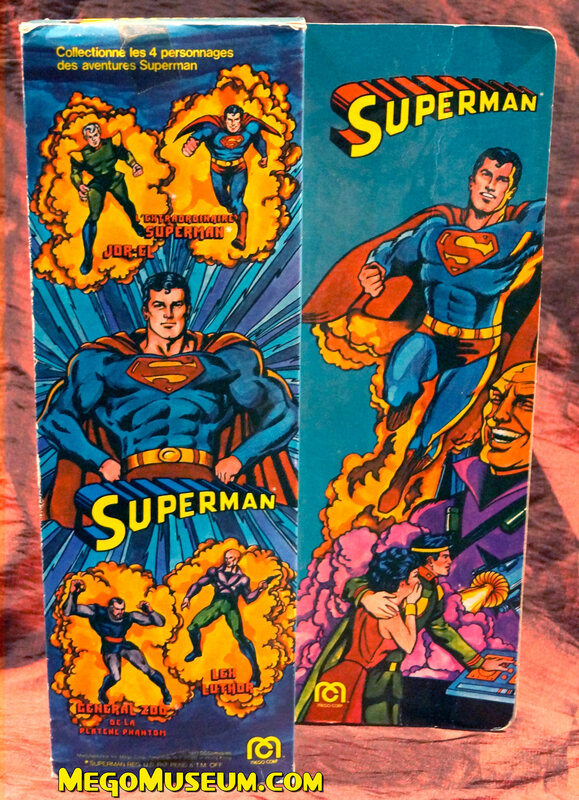 Harbert of Italy merely slapped a sticker over all that pesky French and released Superman and the other Parkdale creations that year as well. 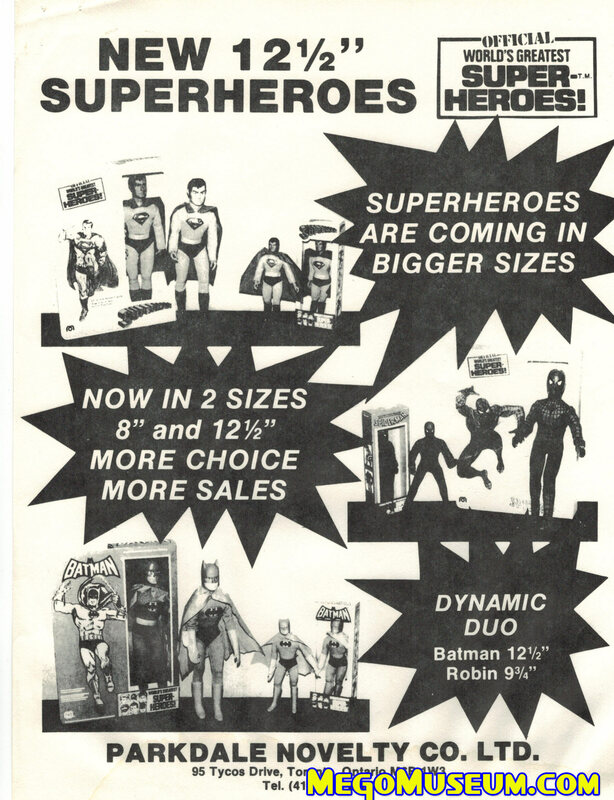 Harbert released the 12″ Heroes in new boxes again in 1979! The new 12 inch boxes featured slicker artwork than the first series. 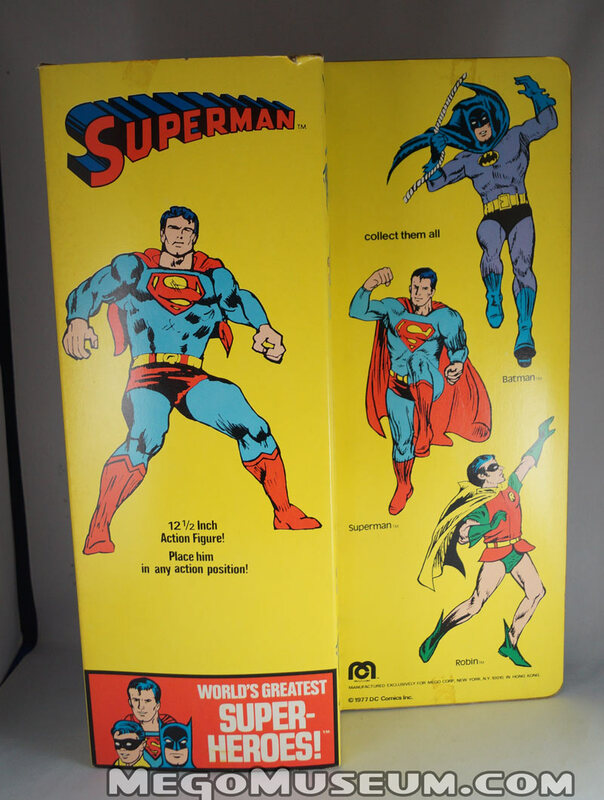 Seriously the art on those original boxxes was a little crude and plus Neal Adams! This Photo is courtesy of Heroes West Coast. This time the box is pre-printed with the Harbert logo. 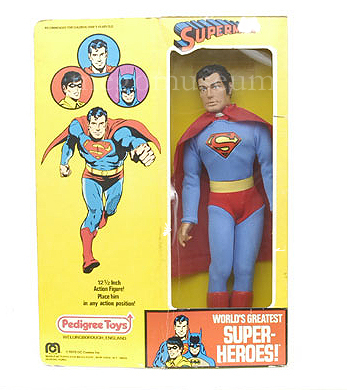 This was at the time Mego was selling the bulkier Christopher Reeve version but Europe seemed to like this version. This Photo is courtesy of Heroes West Coast. Now that is some slick artwork! This Photo is courtesy of Heroes West Coast. In the United Kingdom, there appears to have been two distributors and both strangely appear to have been working at the same time? 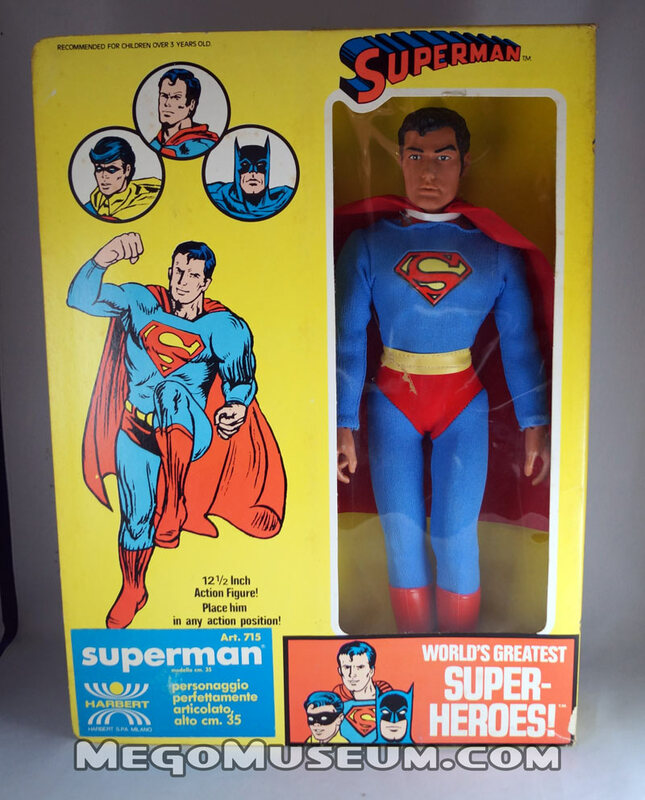 Not sure how that worked but here is 12″ Superman in his Burbank Toys box. Sometimes Burbank just added a sticker, other times it’s printed on. This Photo is courtesy of Heroes West Coast. This time it’s printed on. 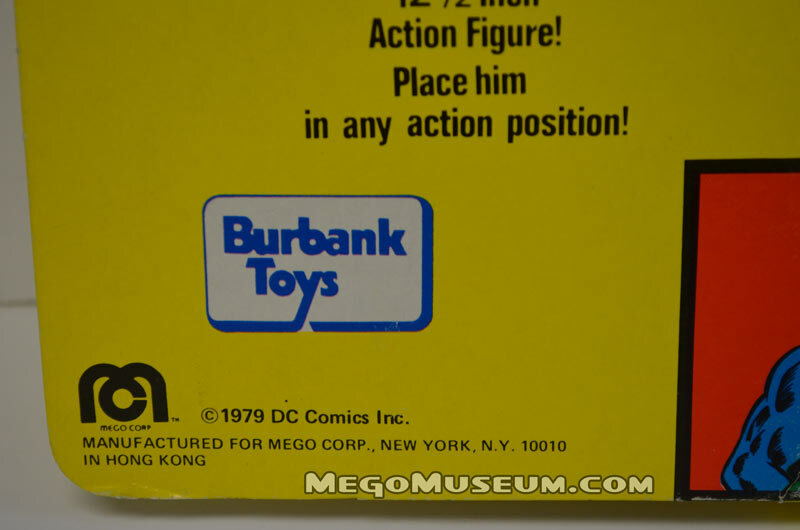 Above is the Burbank toys version. Here is a shot of the back of the box. 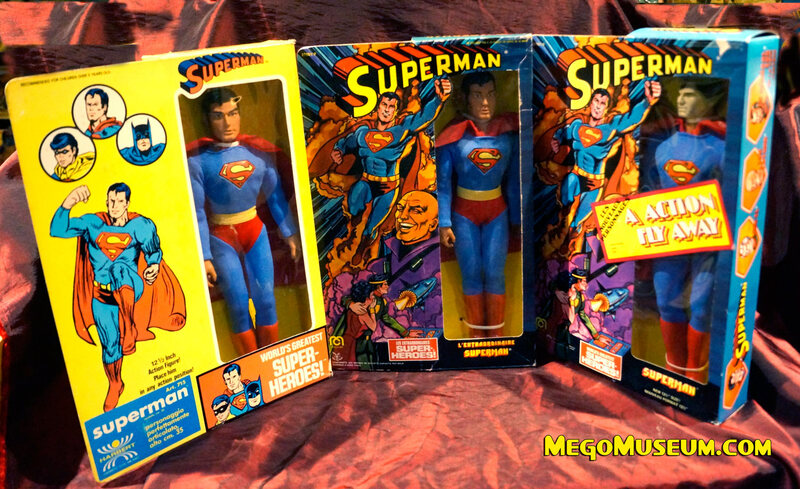 Shot of three Supermen, the original Comic Headed Version, Pin Pin France Comic Headed Version and the Movie Version we all know. 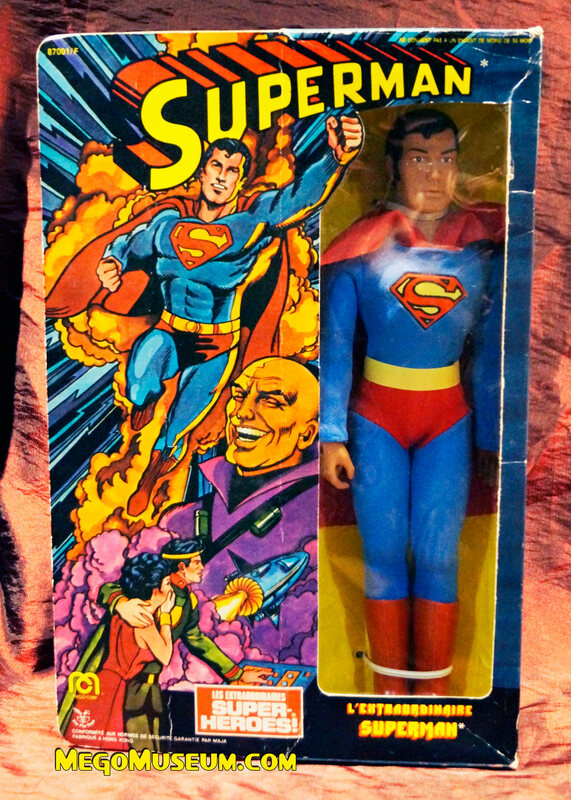 Movie or commonly known as Reeves Superman in a Canadian (Grand Toys) Box. 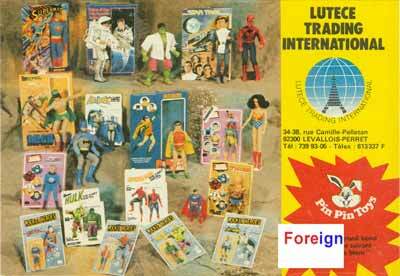 Grand wrested the Superheroes from Parkdale Novelty in the late 1970s and it is extremely difficult to find any Grand 12 inch figures save for the Hulk, who does pop up more frequently. 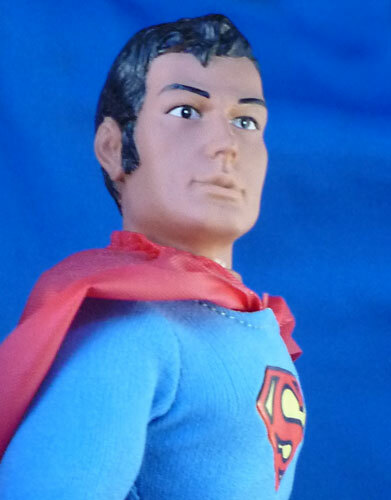 The Denys Fisher Power Action Superman is a UK Exclusive and has a unqiue body style and ability Photo courtesy of CJefferys. 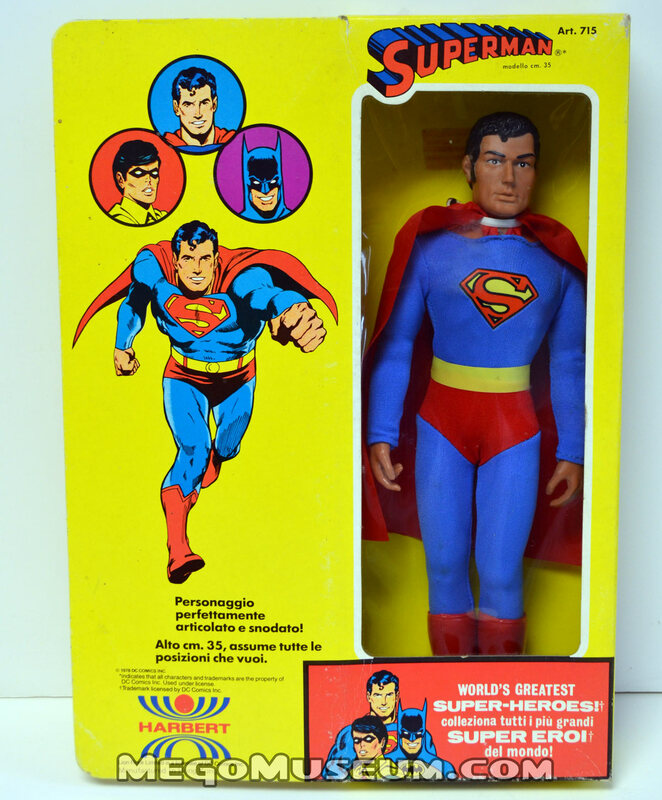 The Denys Fisher Superman is a UK Exclusive and has a unqiue body style and ability. 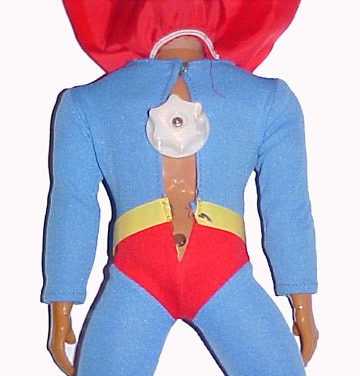 Mego Designer John McNett originally proposed this as 12″ Diecast figure which was scrapped due to child safety concerns. During the writing of this article, it was discovered McNett was unaware the power feature Superman was ever released! 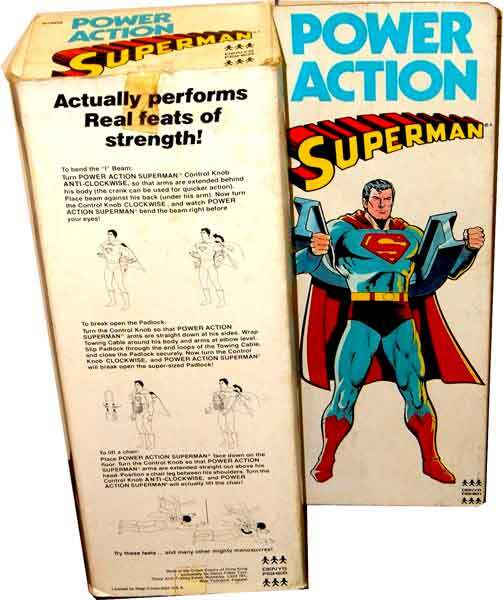 Surprisingly, the Denys Fisher Power Action Superman shares a modified body with Mattel’s Pulsar, which is why he’s so darned beefy. A nice detailed shot of um, well, Superman’s knob. 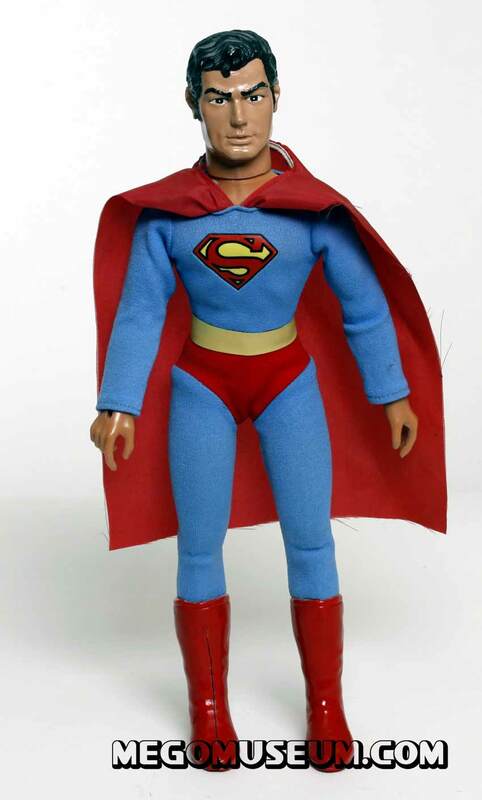 The Mego licensed Ensueno Superman 12″ doll, found only in Mexico.